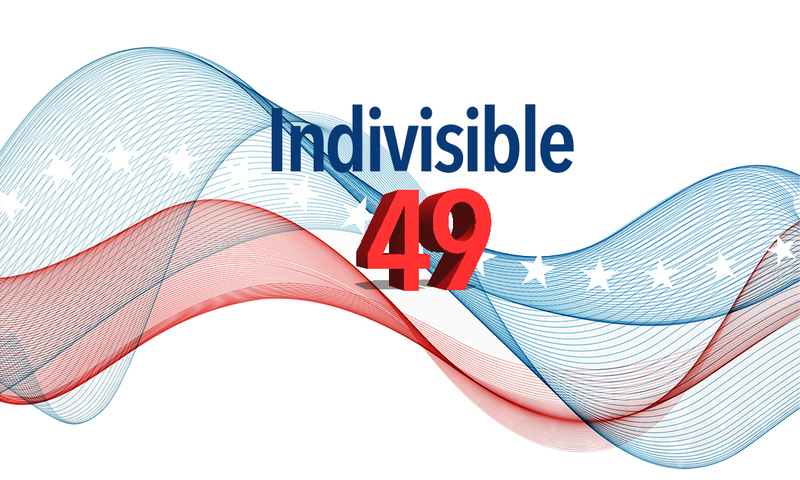 Here is the latest news from Indivisible 49. "Indivisible Is Fired Up" - San Diego City Beat writes about the Indivisible movement and about our rallies at Issa's office. Our work is making a difference! Oppose the latest, disastrous GOP AHCA proposal - worse than the first! Oppose the tax reform outlined this week. Demand Trump's tax returns before any tax reform legislation is considered. Call for a full and independent investigation into Trump's ties to Russia. Condemn the aggressive and illegal actions of ICE agents. May 2: Tuesday Rally - "This Is Not A Drill"
If you can't attend the rally, be sure to call or fax his DC office. The 49th District Action Council, a coalition of progressive groups that Indivisible 49 is a part of and fully supports, is training people on how to engage voters and community members through neighbor-to-neighbor and other precinct operations. If you're willing to talk to neighbors about important political issues, attend one of two upcoming training sessions. This effort is a cornerstone of the plan to flip the 49th! RSVP here. May 6 or May 20, 9:00am - 2:00pm: Official Program Launch and training at the Harding Center, 3096 Harding St, Carlsbad, CA 92008. Empowering and engaging kids in the current political climate. This is a non-partisan, fun, inspiring, relaxed event where kids will explore current event news topics, learn the basics of how government works, hear from community activists and youth leaders, play games and more! Registration required. Let's get together to celebrate our victories in this first 100 days, to recognize folks for their support, and to just have a good time. Potluck picnic, with games and a Best Sign contest. RSVP. If you can help at this event or provide support, please contact Alisa.indivisibleNSDC@gmail.com. We've proven over and over in these FIRST 100 DAYS that resistance is NOT futile! We've accomplished so much together with our collective actions, within our communities and our country. This will propel us into the next round of the political battle as we prepare and work for the 2018 election. Bring your families and your own picnic lunch, and participate in our unity circle. 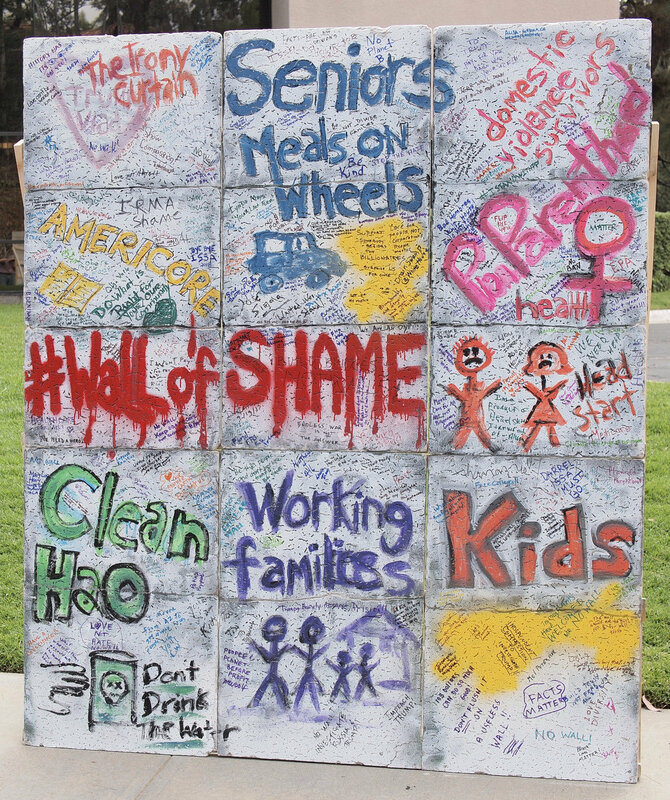 wagoncircle.org We will also be collecting non-perishable food for Vista Teen Outreach. This year's theme is "We're All In This Together" which to us is about the importance of community as it effects the quality of our lives. We believe in the synergistic power of people coming together. The speakers this year will include men and women from across the country who have done significant work in contributing to a better understanding of what it means to be "in this together." Tickets and details here. Continue to pound Issa on health care. Call, rally, make your voice heard. We are having a huge impact! If you have 10 minutes, write a postcard to your members of Congress. For their addresses in Washington, look here. If you have one hour, attend our Tuesday morning rally at Representative Darrell Issa’s office. Issa needs to know that we are watching and we are not going away! For information and to RSVP, click here. And if you have an hour a week to spare, consider volunteering to help Indivisible 49 continue our great work. Information about these opportunities here. With the GOP/ACA repeal and replace stalling so many times, it is interesting to see a few bills that aim to dismantle certain pieces of the ACA gaining momentum in the House and Senate - HR 285, HR 352 and S 260. We have our eyes on you, Congress! Budget talks continue as the new deadline of Friday, May 5 approaches. See the complete legislative briefing.